The MPLAB® Xpress Evaluation Board was designed as a simple-getting-started development board for use with MPLAB Xpress Integrated Development Environment (IDE). The Xpress board is a cost-effective, fully integrated 8-bit development platform targeted at first-time users, makers, and those seeking a feature-rich rapid prototyping board. 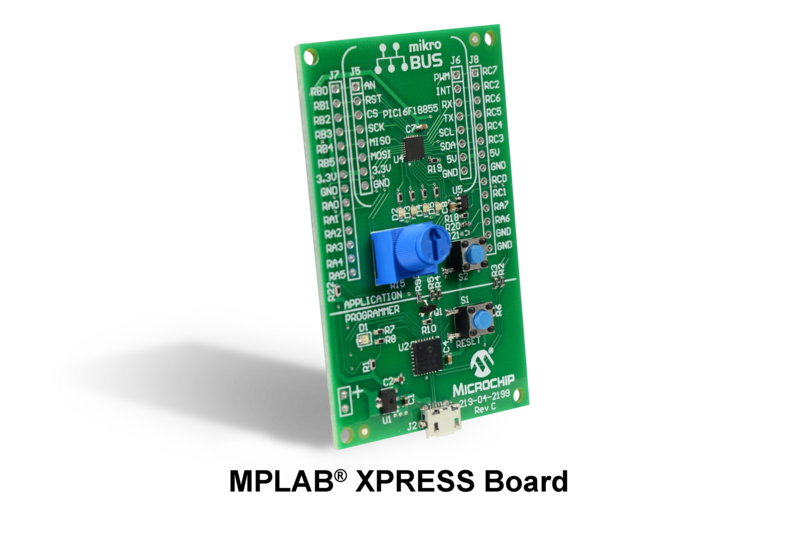 Designed from the ground up to take full advantage of Microchip's MPLAB Xpress IDE, the Xpress board acts like a USB memory device and requires no additional hardware to get started. Compiled .hex files can be loaded the same way a file is moved to a USB storage device. Once loaded, a reset starts running the program on the Xpress board.